It is more than a theme. It is a promise we made to ourselves nearly 140 years ago. A promise that was almost broken. In the middle of the last century, Forest Park’s place in our lives threatened to crumble along with the stones in the Grand Basin. In 1986, Forest Park Forever formed to work in partnership with the City of St. Louis to restore and sustain Forest Park as one of America’s greatest urban parks for the enjoyment of all. In 1995, citizens, businesses and civic leaders united with Forest Park Forever and the City to launch the Restoring the Glory campaign. The $102.6 million raised was the largest ever by a public-private partnership for an urban park renovation at that time. In 2004, our community celebrated a renewed Forest Park along with the 100th anniversary of the 1904 World’s Fair. It’s been over a decade since significant renovations were completed. Deferring maintenance led to Forest Park’s previous predicament. Now it is time to ensure Forest Park's future for all of us. Forest Park anchors world-class educational, cultural and healthcare institutions and is at the heart of an innovative business and research corridor. An economic impact study from Development Strategies, Inc. ranks Forest Park among the top 30 employers in metro St. Louis. The Park employs 3,300 people and supports 7,610 jobs regionally. And on an annual basis, the Park generates $624 million across the region including millions of tourist dollars. The biggest economic reasons to support the Park go beyond measurable numbers. In the future, economists predict fierce competition for talented people to catalyze investment and innovation. In a 2012 survey conducted by the Regional Business Council, young St. Louis professionals named Forest Park their #1 attraction. Many business leaders see Forest Park as their “go to” recruiting tool. An investment in the Forever campaign is an investment in the future success of our city and region. We will remain a defining factor in helping St. Louis attract and retain a vibrant community of leaders, creative people and thinkers to sustain our common cultural and economic future. Science is only beginning to grasp what we’ve always known intuitively: green space enhances human health and welfare. In addition to traditional landscapes, Forest Park shelters native forests, wetlands, savannas and prairies. Each contains its own fascinating array of plants and animals as well as its own unique challenges. Natural benefits extend to the broader environment. In addition to providing shade, 45,000 trees intercept 35 million gallons of storm runoff and filter 7 tons of pollutants from our air every year. Forest Park’s trees require diligent stewardship to remain healthy and resistant to drought and other weather extremes. The Forever campaign will support the efforts of a dedicated team of passionate experts to ensure the ongoing sustainability of all Park ecosystems for every visitor, human and otherwise. 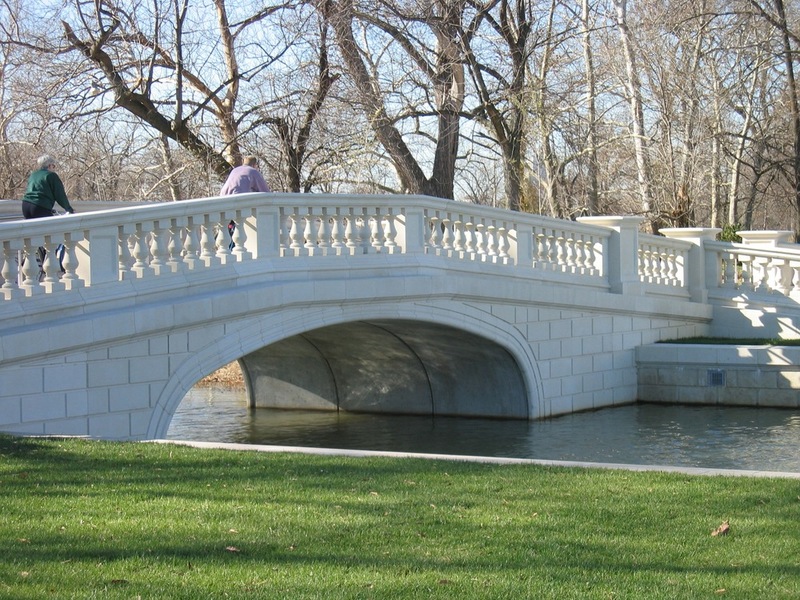 During the Restoring the Glory campaign (1995 – 2003), Forest Park Forever and the City of St. Louis raised $100 million to begin restoring Forest Park. The effort was a phenomenal success, with icons like the Jewel Box restored to true beauty — yet important work is still to be done. Critical projects remain, ranging from rebuilding essential infrastructure like roads to improving event spaces that host community celebrations. Forest Park serve as an incomparable place of exploration — of forests and wildlife, art and history, science and culture throughout humankind. The Park's world-class cultural institutions and its hundreds of acres of nature reserves provide students and adults with unlimited opportunities for experiential education. As the home for these vital experiences, Forest Park must remain beautiful, welcoming and safe. We must create the endowment that will secure Forest Park’s future. It is very expensive to sustain Forest Park. There are thousands of trees and flowers to care for, 40 bridges to maintain and 41 miles of sidewalks, streets and pedestrian and bicycle paths to maintain. And this is just the beginning of the need. The Forest Park Forever endowment — which is not yet as large as it needs to be to keep up with the Park's needs — will provide the crucial operating support necessary to keep Forest Park well-preserved for generations.